Carrow Real Estate hosts one of its regional offices in Reading. They lease three office buildings to many different clients in the Greens Hills Corporate Center. Over the last few years, we have installed windows in two of the three buildings. We started back in 2001 installing eight windows when Brandywine Realty was the previous owner, then returned in 2002 for nineteen window replacements. In 2004, we replaced seven windows and have now started another project in October of 2011 consisting of installing fourteen windows. This project includes structural steel fabrication, masonry/interior demolition, steel erection, masonry repair and interior finish work. The biggest challenge on this project is to install the windows with the offices being occupied. The window openings are over 14 feet wide by 6.25 feet high. Off-shift hours are worked to minimize noise and dust to the occupied areas. 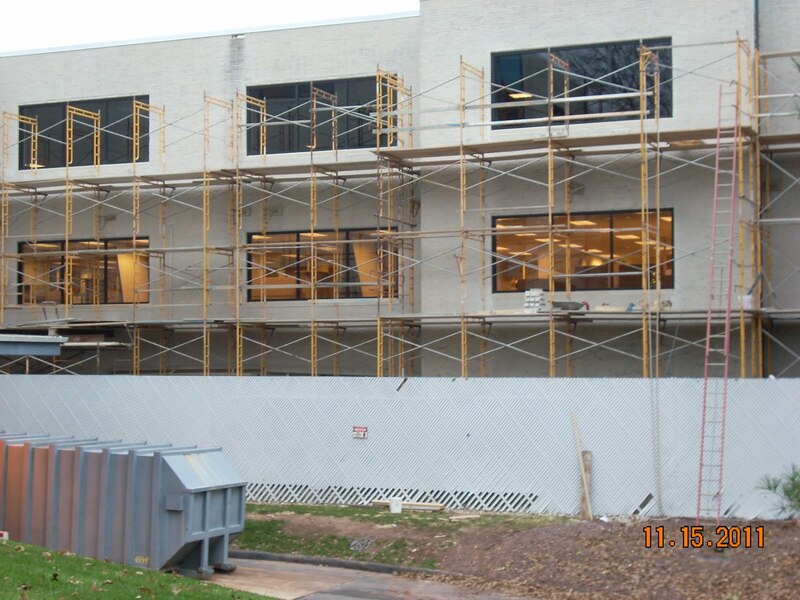 The window installation is being completed on the second and third floors. Temporary partitions are placed over the window openings at the end of each day to protect the areas from weather damage. This project is scheduled to be completed by end of December 2011. On Friday, September 9th, after hurricane Irene hit York County, we got a call from the York Haven Waste Water Treatment Plant operator and he asked us to help on an emergency at the plant. With the large amount of rainfall that saturated the ground, one of the straps that hold the raw sewage tank to the foundation ripped out of the concrete. The raw sewage tank popped out of the ground from all of the water pressure. We went to the site that afternoon and assessed the problem. The first step was to pump the raw sewage from the tank into sewage transport trucks and clean the tank. This was completed that evening and we worked through the weekend to excavate around the damaged tank. On Monday, Eisenhart Crane sent a 170-ton crane to remove the tank and loaded the damaged tank onto our double drop deck trailer. 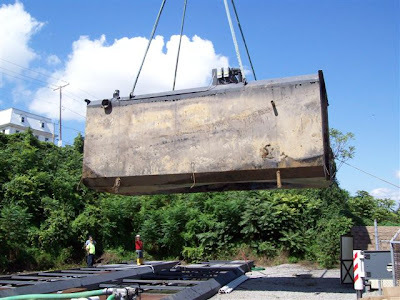 The tank was 10 feet wide by 28 feet long by 12 feet high and weighed 26,500 pounds. The damaged tank was hauled to the Industrial fabrication shop for further inspection. The rest of the treatment plant was stabilized and put back into operation. The project then was engineered over the next few weeks and repairs included cleaning the existing tank foundation, drilling into the existing foundation and installing rebar around the perimeter of the tank, repairing the tank inner supports/outer shell, setting the tank back into place, and forming/pouring concrete around the outside perimeter of the tank. After all the concrete was poured, process piping and electrical wiring was reconnected to the plant. Over the past few years, the Industrial Division has built a relationship with the plant operator and engineering firm who were involved in this project. Our quick response, knowledge and available resources are why, in emergency situations, we are successful. 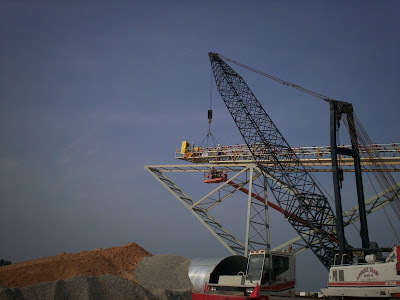 Echo Industrial Inc. engineered and fabricated the project for Aggregates USA in Sparta, Georgia. Aggregates USA produces and supplies sand, gravel, limestone, granite, block and ready mix concrete at facilities in Alabama, Florida, Georgia, Tennessee and Virginia. 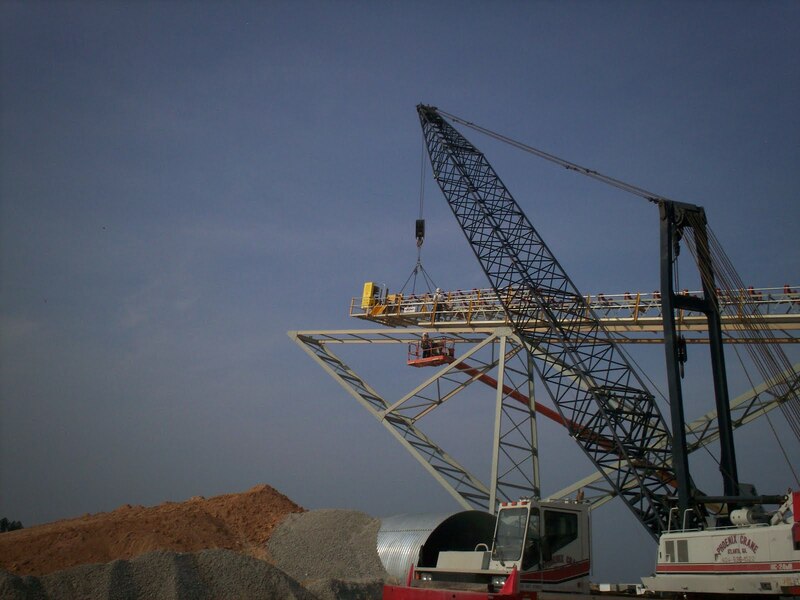 The Industrial Division was awarded the equipment erection project for the Sparta Quarry. This is a new location for Aggregates USA and will produce gravel for now, but the company has future plans for more products. The project is located approximately 12.5 hours from York, PA. Our crews worked on-site for three weeks straight, before coming back home for four days and then returning to Sparta for another three weeks. This work schedule continued for approximately three months. 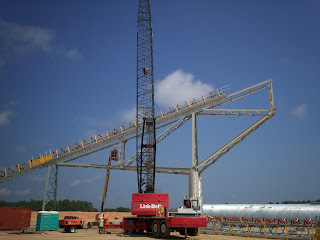 The project consisted of conveyor assembly/erection, screen tower erection and draw down hopper erection. We assembled and erected 1,840 linear feet of conveyor, which was shipped in 20-foot sections for this project. 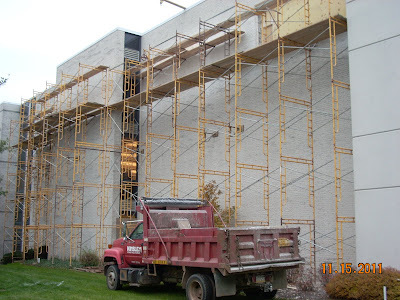 Working with a local concrete contractor was sometimes challenging because of the project coordination. Our crews, in many cases, complete the concrete work and erection work for large projects like this.